Theme is everything in a story. It’s what drives the character and the plot. If the theme of Judge Dredd changed and he suddenly veered off in an entirely new direction, there would be uproar from fans. Yes, he can change location: space; the world of the Dark Judges; the moon – but he has to remain true to the theme of grim, monosyllabic, future justice. Sláine is pagan, but if he suddenly became ‘New Agey’, my readers would hate it. So I always filter out anything ‘pink and fluffy’ from my esoteric researches. If Accident Man became a good guy and a reluctant assassin (as American film producers wanted), British fans would have loathed it. Instead, Mike Fallon revels in ‘keeping it shallow’, which makes him highly amusing to read and also able to make some sly hard-hitting points without appearing polemic. Whenever his moral compass troubles him (which is rare), he says he will feel better after having a coke and a burger. The theme is the story’s anchor, so here are some examples from other writers’ work as well as my own. There may be deeper levels to their themes, but this is how they came across to me. Evil begins and ends in the family. We must accept our fate without fighting back (A theme so negative, people walked out of the cinema the day I saw it). Everyone has a dark secret. America is constantly under threat from the enemy within. The working classes are smarter than the upper classes. Self interest vs. social conscience. Where do we find genuine heroes? The system is evil. We can resist, but ultimately we have to put up with it. What are the effective ways of defeating an evil system? Discovering the magic and savagery of our lost Celtic heritage. Bodyguard (TV) The theme here is so interesting, important and relevant, especially as state propaganda, that it merits a deeper analysis, which I’ve gone into below. The theme in much of action and adventure fiction is quite political. When it’s ‘right-wing’, readers or viewers barely notice because we are so conditioned to this Orwellian perspective, we see it as normal (see Ian Fleming, John Buchan, Captain W. E Johns, Dennis Wheatley). When it’s ‘left-wing’ or ‘counter-culture’ it’s seen as coming from a soap box, part of the loony left, or just plain polemical. But the power of words and their subtext is certainly recognised by the state. This is why in both World War One and Two all authors of note were recruited by the state to produce propaganda, much of it kept secret and barely known about even to this day. In World War One, Conan-Doyle called those trying to end the conflict – ‘peace cranks’. Bernard Shaw initially advised soldiers of both sides to shoot their officers and go home. Later, after being wined and dined by General Haig, he ended up supporting the war, although he later changed his mind yet again. H.G. Wells had his particular God supporting the war, and wrote two best-sellers on the strength of it: Mr Britling Sees It Through. ‘The novel was used as a text at chaplains’ school, and was embraced by military officers and religious leaders‘. And God the Invisible King. Later, after doing exceptionally well financially out of his pro-God, pro-war books, he rejected them. 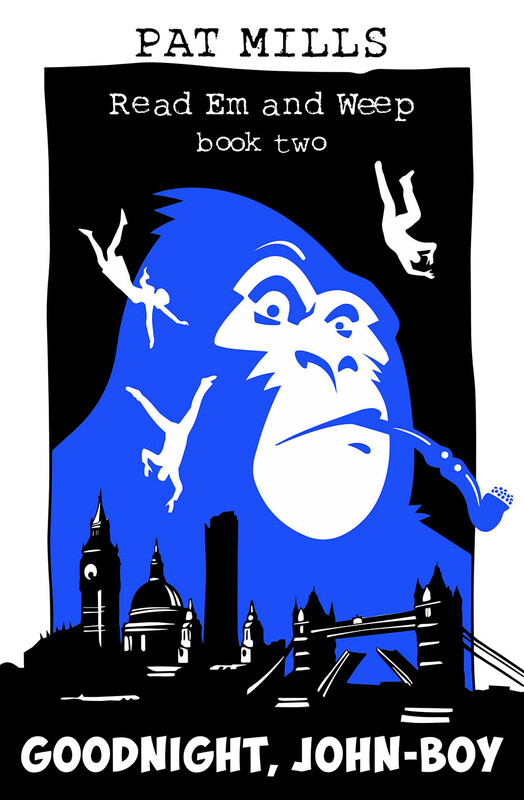 Or rationalised and justified his God phase – if you’re an H. G. Wells fan. 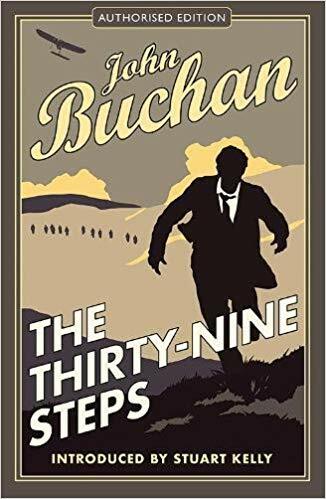 John Buchan was the director of propaganda – the spin doctor and Alistair Campbell of his day – and in his novel The Thirty Nine Steps, his views are not only propagandist, but also reveal what seem to be inadvertent insights into the British deep state with disturbing and unrepeatable anti-Semitic views. I remember as a kid when I read his Greenmantle, I wondered about his anti-Islamic views. They left an unpleasant after-taste that I’ve never forgotten. A. A. Milne – although he was a key part of the state propaganda machine – at least admitted it was all ‘lies’. And Somerset Maughan tried to reveal the dark truth of the state’s dirty deeds in his Ashenden spy stories, but his most revealing tales were censored and destroyed. Half of the original drafts were burnt after Winston Churchill declared that they would be in breach of the Official Secrets Act. The theme and subtext of my Charley’s War is particularly effective because it is successfully subversive and serpentine, which – it almost goes without saying – was deliberate on my part. It’s a good example of my muse in action. People of all ages and political persuasions enjoy it, both here and in Europe, because its message is not too challenging. Apparently. Seemingly. The system is evil, but what can we do? We just have to put up with it. 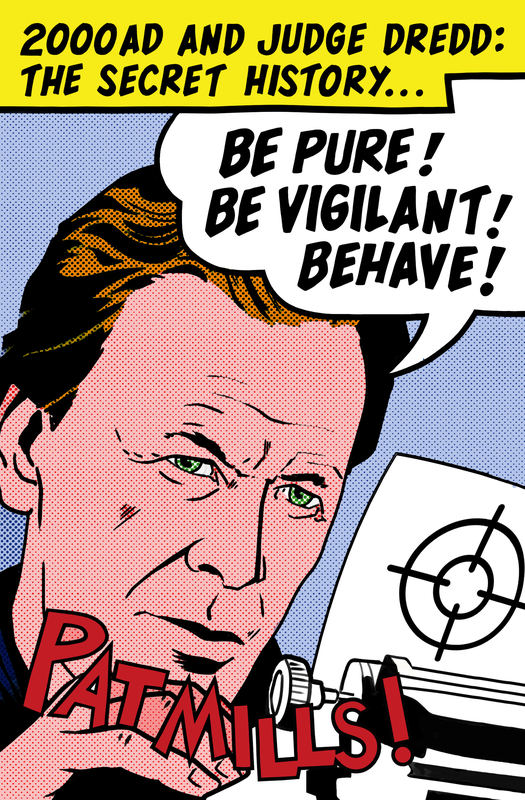 The hero, Charley Bourne, complains and fights back, but he never really rebels, even though all around him are examples of the darkest evil committed by the State. In the final story, still patriotic, he’s on the dole in the 1930s, still believing in a better tomorrow, as Hitler is elected Chancellor of Germany. He reflects the attitude of our forefathers, many of whom knew the actions of the State were utterly wrong, but felt there was nothing they could do about it. That’s if they ‘felt’ at all. Many, sadly, just shut their feelings down and didn’t think about it. As a survival strategy, that was generally seen as ‘sensible’ and one the State itself would encourage. In reality, whilst appearing relatively harmless, Charley’s War changed many lives. It didn’t only encourage many readers to be history teachers or curators of military museums, it also stopped numerous kids from military families joining the army, and made others question the dark machinations of the State. Of course I didn’t fool anyone in authority, sadly. Which is why in the centenary years, despite being optioned by a major film production company for a TV series, it never came to pass. Similarly, radio versions and documentaries that were seriously considered by broadcasting staff also never happened when they went ‘upstairs’ for approval. They could see right through me. Damn! I suspect the same thing happened with Marshal Law, where it did actually make it to the boardroom at Warner Brothers (my co-creator Kevin O’Neill was present at the pitch meeting) before being turned down as a movie. Double damn! So we should really not be surprised if propaganda plays a role in current dramas when the British state is fighting a low intensity conflict war in the Middle East with outbursts of terrorism on our own soil in retaliation. And this brings me on to the TV series Bodyguard, where the theme is fascinating, compelling and flawed, and – in my view – far more serpentine than Charley’s War. Although it is the polar opposite in its politics, it showed me I still have a lot to learn where successful subversive themes and subtext are concerned. In the first three episodes, the story of forbidden love – between the Home Secretary and her bodyguard is uppermost, and I’m sure was the reason why the series attracted such a huge audience. He is an army veteran, suffering from PTSD who is cynical about UK foreign policy, and she is a hawkish believer in the endless low-level war in the Middle East who is pushing for greater surveillance powers of UK public bodies. The sexual tension between them is palpable and draws you in; conspiracy sub-plots about the security services and the police are easily overshadowed by their affair. So the theme could be stated as: Can physical attraction overcome conflicting moral and political beliefs? 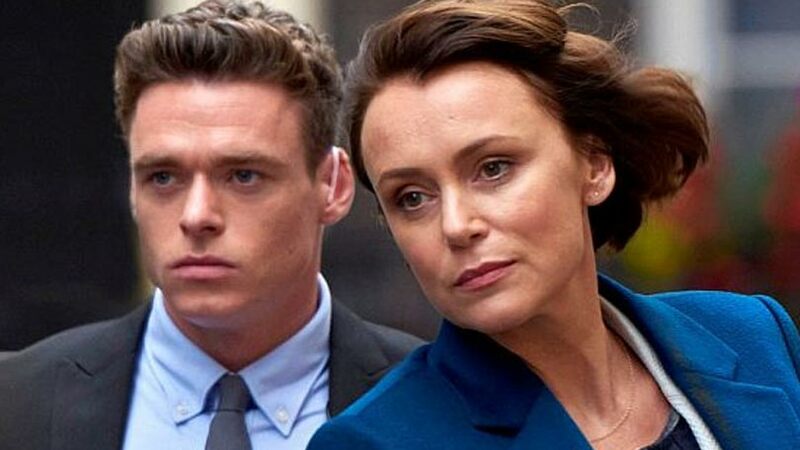 Bodyguard David Budd (Richard Madden) and the Home Secretary Julia Montague (Keeley Hawes). As a quick aside: I had to give up watching Homeland because, although it’s exciting and well-written, it was such blatant right-wing propaganda. Bodyguard felt different; it even seemed critical of the war and sympathetic to PTSD victims. The forbidden love theme was so strongly established, I assumed it would play itself out over all six episodes, following the rules of drama I’ve previously described. 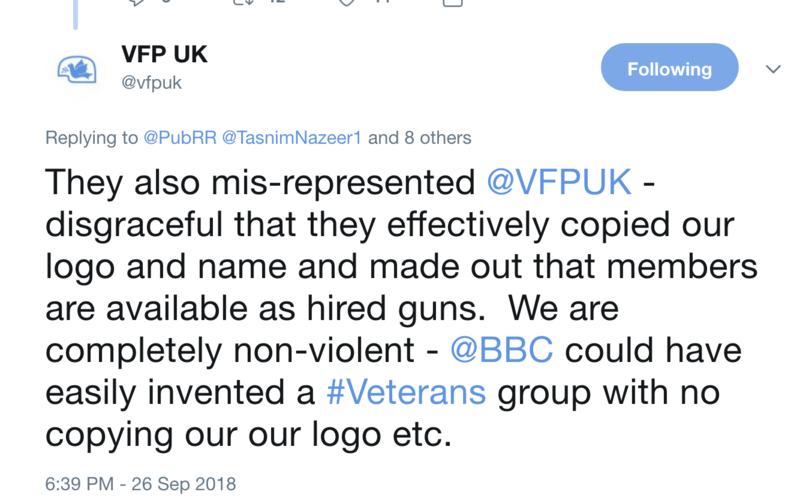 Veterans for peace UK are a non-violent organisation. But an audience may well think otherwise after watching Bodyguard. At the end of episode three, the Home Secretary is killed in a bomb explosion, and then, with a crunch of gears that made me wince, the theme suddenly changes. After all, a love story can hardly be sustained posthumously over the remaining three episodes. Instead, it becomes a mystery – who is ultimately responsible for the terror? The romance has served its purpose and it’s unceremoniously dumped, with only token reference to it from now on. We transfer all our attention and affection to the eponymous bodyguard. By now, everyone is hooked on the superb drama, and viewing figures jump. We all want to get to the bottom of the mystery. The finale shows three people are ultimately responsible for the murder of the Home Secretary. It’s at this point that the writer’s true theme is revealed – because it’s what we’re left with at the end that counts. An organised crime boss. The most under-characterised top villain I have ever come across. A Mr. Big who for some unknown reason, chauffeurs his minions about in his 4X4. His personal role and character is minimal. We know nothing of her motivation. Also, given that she is such an experienced and high-ranking officer, there is no way she would fold under pressure so easily. At first I thought this was just poor writing – which it still is, of course – but the screenplay is by an incredibly talented, experienced and knowledgeable writer: an expert on cops and police procedures who writes excellent, moving and heartfelt dialogue in his long-running Line of Duty series. So it left me baffled – why this sudden and very obvious lapse? An Islamic extremist. She is the one we feel is ultimately responsible for everything. I found this to be a particularly dangerous form of propaganda that reinforces racism and fear of ‘the other’: the stereotype of the woman in a burqa who is a cunning and devious terrorist. When a theme is not obvious, the test is where it leaves you. What do you take away at the end? That is the image I took away from the drama, the one that lingered in my mind. Because the other parties to the crime – organised crime and police corruption – are so dismissively dealt with and under-characterised, the focus is firmly on the Islamic extremist. The other impression I also took away was a negative view of the Veterans Peace Group and the knowledge that the bodyguard’s PTSD problems would now be safely handled by the State, and he could happily go off into the sunset with his wife and kids. I’ve watched the whole drama twice, just to be sure I’ve got all this right and haven’t missed anything. At first, I thought ragged writing was the reason the theme changed so abruptly in mid-stream, but then I realised that the writer is far too talented for that to be the case. So my take on the real theme that is motivating the writer and captivating a peak viewing audience is: Islamic extremism is the biggest threat to our way of life, and the State, despite its many faults, can be trusted to deal with it. 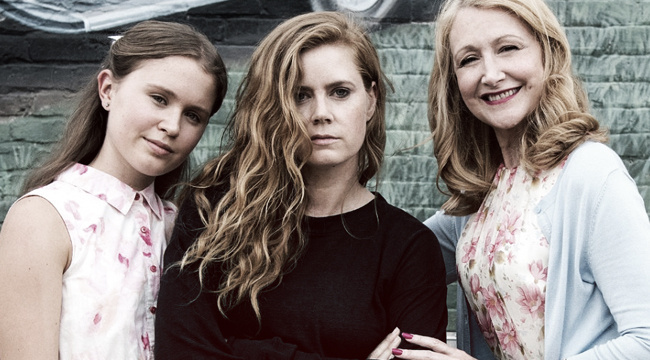 The drama is so politically aware – with its strong emphasis on female protagonists and both female and multi-racial supporting characters – that none of this can be accidental. This is the conscious agenda of the drama. 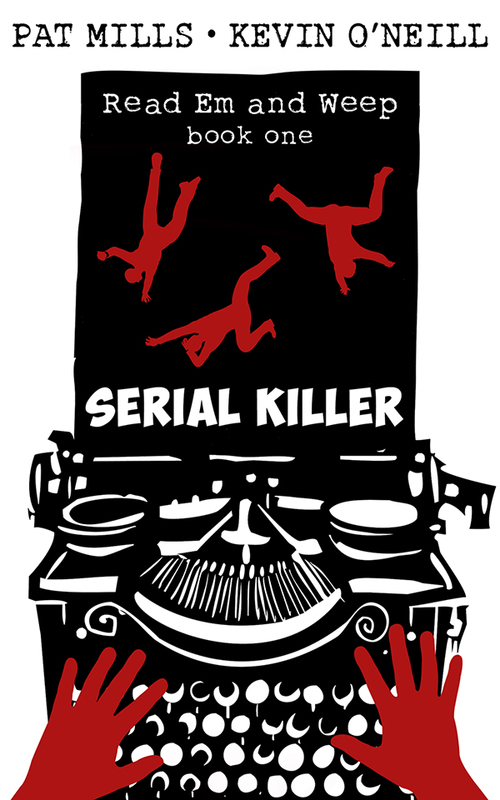 There’s a lot more at stake here than just an entertaining whodunit. As past wars had their writer propagandists, it’s unlikely that the current war Britain is engaged in should be any different. It would explain why organised crime and police corruption are dealt with in such a token manner. They are not the propaganda target. All this would be fair enough, as expressing a point of view, I suppose, even if it is the state’s point of view, were it not that the Veterans Peace Group were treated so unfairly. And also that PTSD was handled unrealistically. The impact on veterans is more profound. There are numerous ways they are now suffering for ‘fighting for their country’. Even in a whodunit drama, it could still be sketched in with a little more realism. For instance, the hard battle the bodyguard faces in the future to overcome PTSD. Counselling and other remedies such as EMDR, finger tapping, medication, all too often do not work. Coming from a military town (Colchester), and having talked to trauma victims, I know it’s not that easy and simple to treat, which is how it came over to me in the show. All this emphasises how much is at stake in a drama about PTSD, especially when it’s watched by seventeen million viewers. Theme and subtext are powerful tools, whatever your political views. We would all benefit from recognising this. Acknowledge how a theme can be disguised to draw us in, and then feed us a different story to the one we were expecting. There are disturbing studies on how many Hollywood popular culture films receive the financial backing of the American State because of their concealed propaganda subtext, often less obvious than product displays in movies. It’s also widely acknowledged how Hollywood has embraced the narrative of ‘American under threat’, and its role in ‘bringing democracy’ to other sovereign states. See, for example, Terrorism and Counter-terrorism in Popular Culture in the Post-9/11 Context. There’s another war going on today: one for our hearts and minds – and writers are at the forefront of it, as they always have been. To know which side you’re on in such a conflict, or if you’re neutral, is a matter of identifying your Muse: just what it is that inspires you. And the answer goes much deeper than you might think. In search of the Muse is next week. All your posts are insightful but perhaps none more so (yet) than this one. I have a friend who suffered from PTSD and it’s no exaggeration, I feel, to say that this TV series was at best insensitive and possibly even insulting in tone in order to present a particular ideological stance. I am old enough to have followed your work from the very first issue of 2000AD and it’s encouraging to realise that age has not diminished your ability to be thought provoking or the fire in your belly. Thought provoking stuff, Pat, thank you. Of course you’ve shared similar views in interviews about “Charley’s War” in the past and also noted how “left wing” TV shows rarely get the attention or repeats they deserve (“The Monocled Mutineer” for example). I note that Peter Jackson’s voices in the new World War One film – veterans all – seemed to go with the “we just got on with it” attitude to the conflict, the impression given that they had no choice. (There’s no mention, of course, in the film, of any rebellions against the war, which you didn’t shirk from covering in “Charley’s War”). 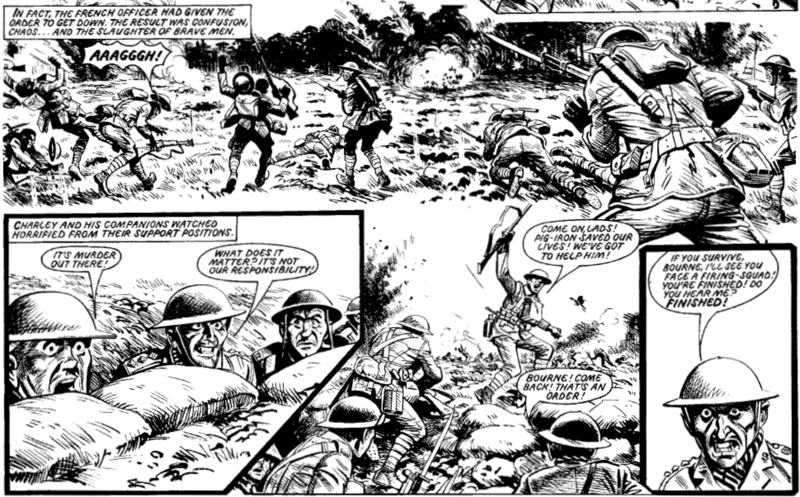 I think it’s very hard, as a non combatant, to understand the emotional impact battle has on those involved, but you and Joe Colquhoun managed to get it across in “Charley’s War” so many times, with a level of depth to the story rarely seen in weekly comics of the time. I’m glad to hear that in doing so, you helped change the lives of some.